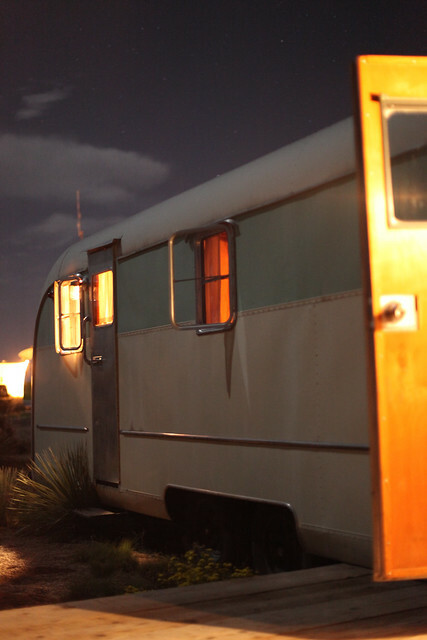 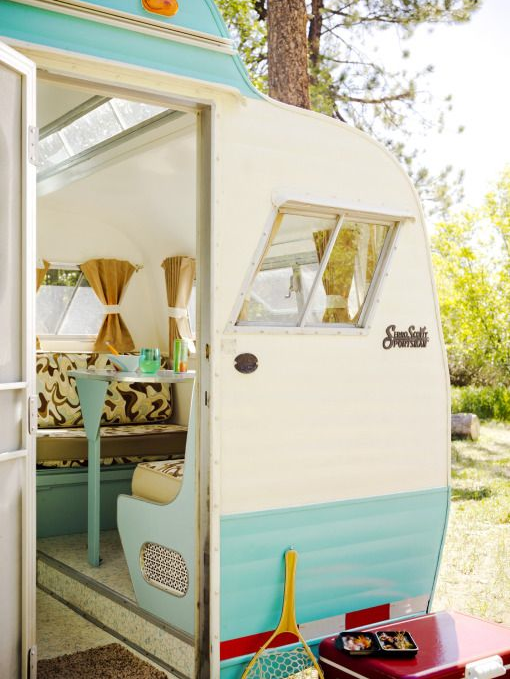 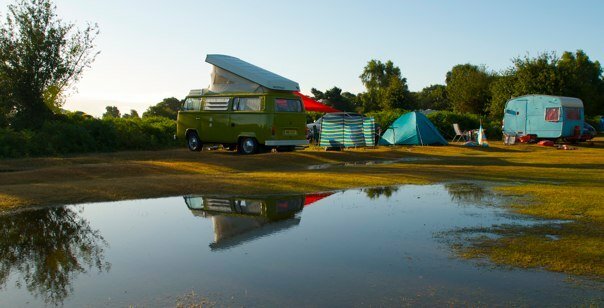 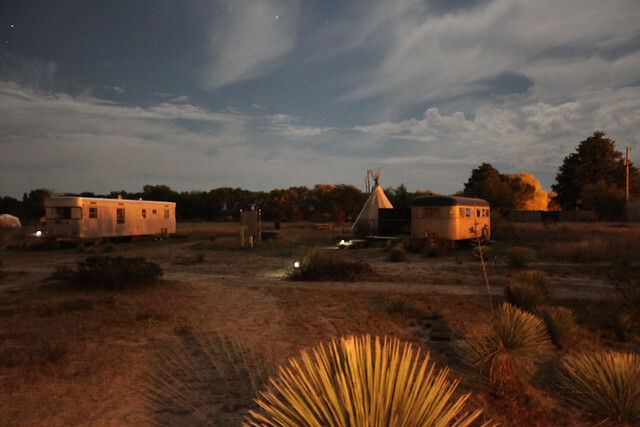 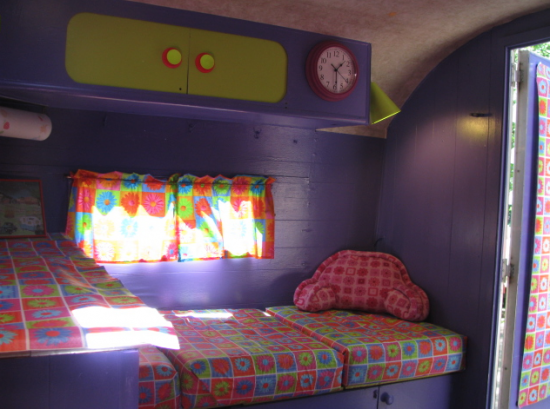 Check out some Camper Photos on Pinterest! So Sorry for the lack of posting…. 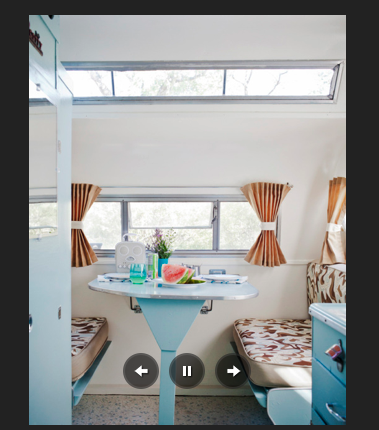 I’ve been really busy pinning things to my Get Campie Pinterest account. 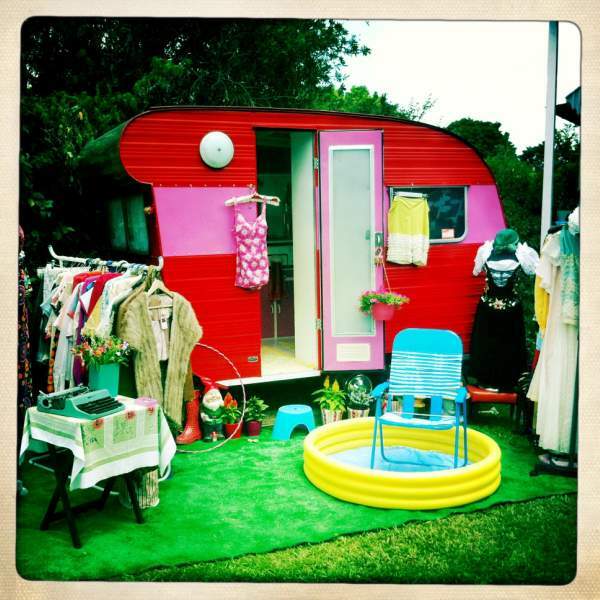 Come for a visit and say hi!!! 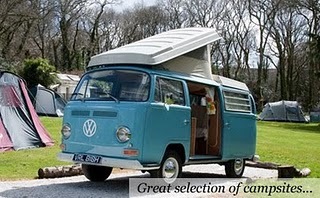 My link is in the sidebar!! 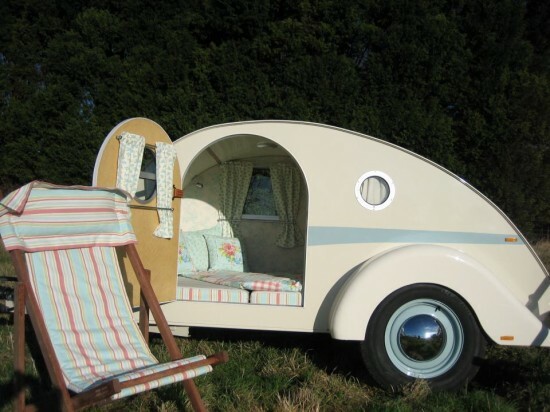 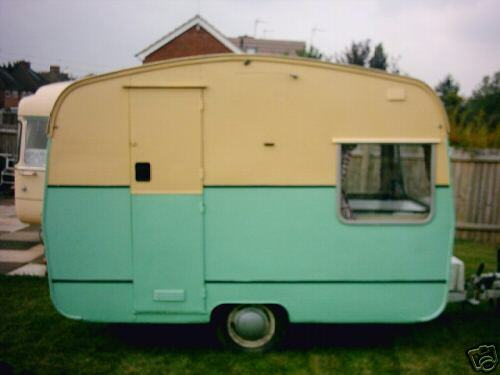 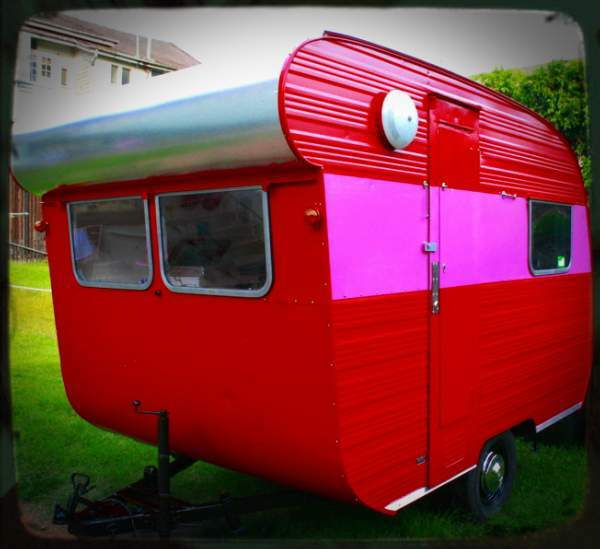 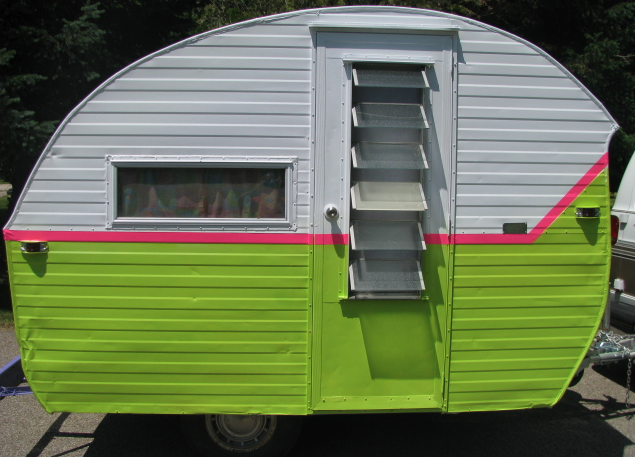 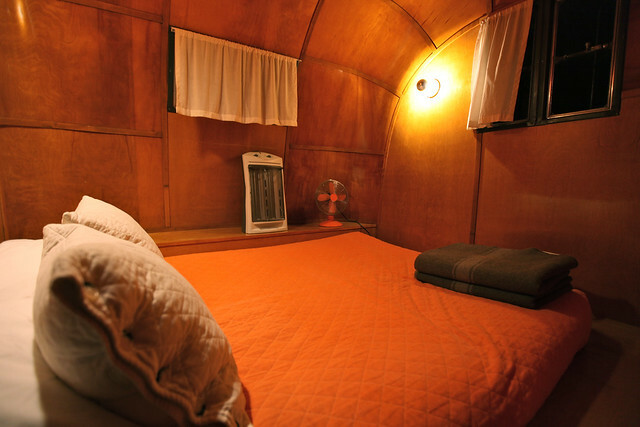 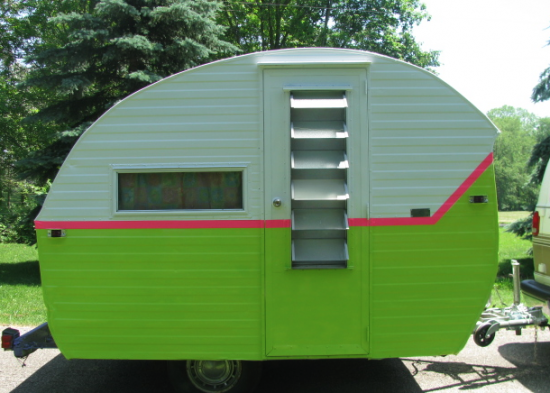 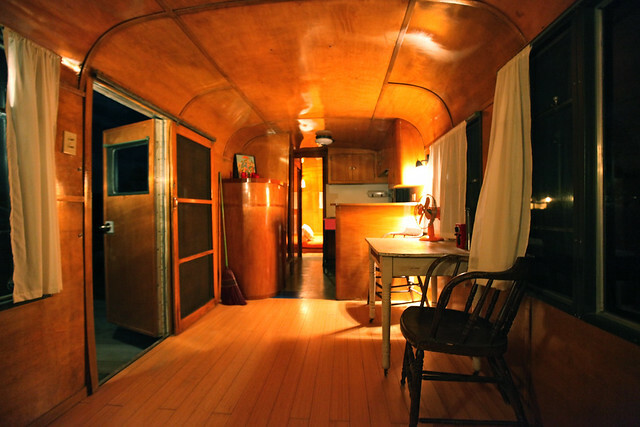 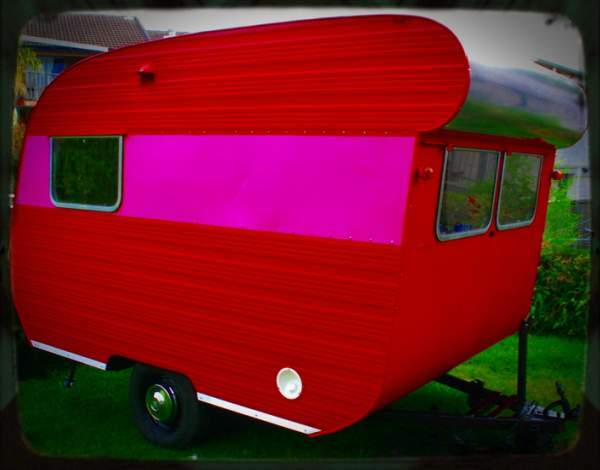 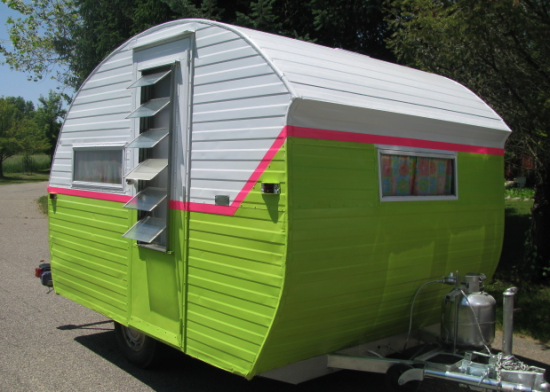 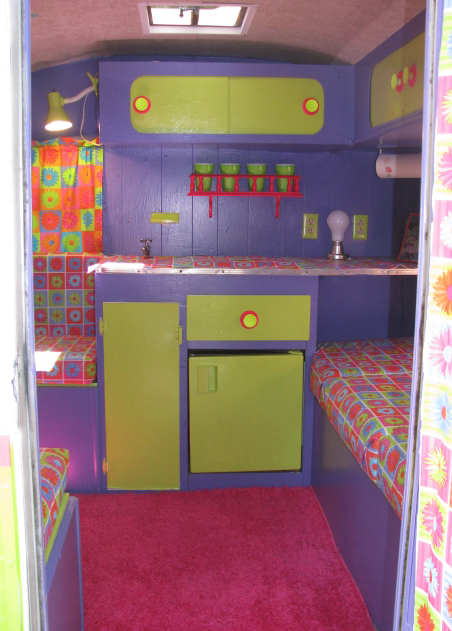 …you’ll find more camper/vintage related photos. 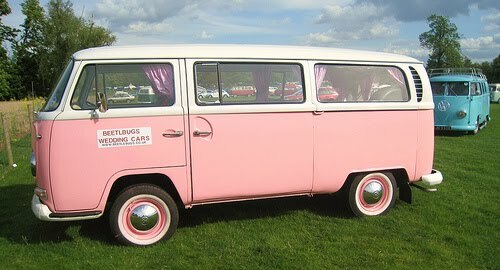 Isn’t she adorable!! Her owner landed her on Ebay and fixed her all up!! 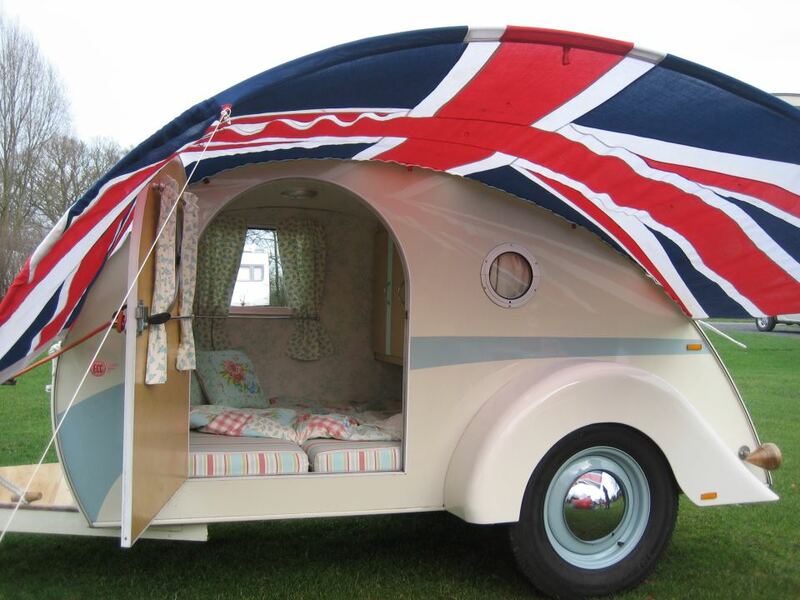 Love how she pulled all the colors together and the flag touches! 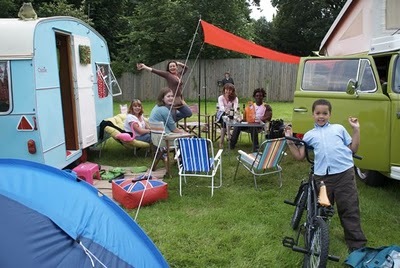 Here’s Cassie at a fun camp-out with her VW Pop-up camper friend! 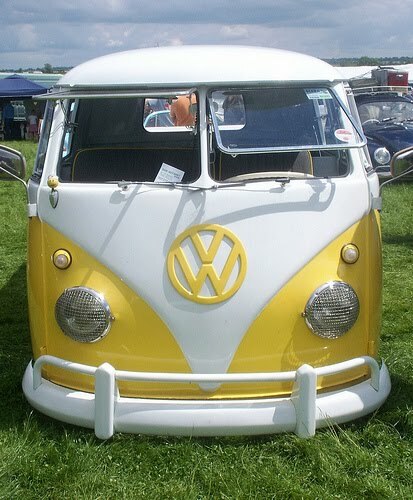 What a pretty picture!!! 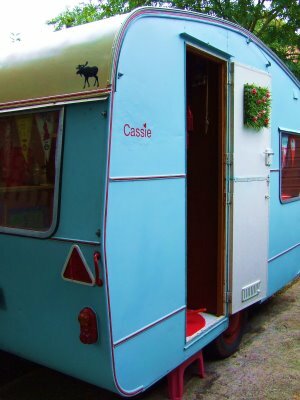 Thank you to Cassie’s owner for sharing her sweet trailer with us!!! 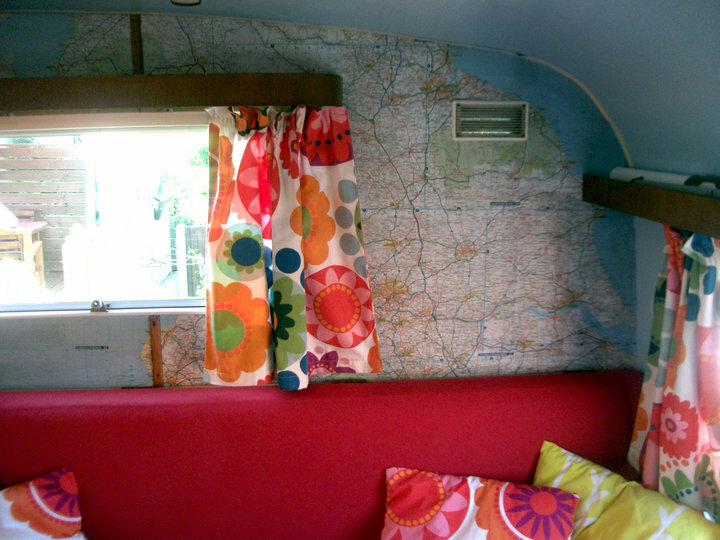 IKEA Fabric interior and road maps for the walls!! 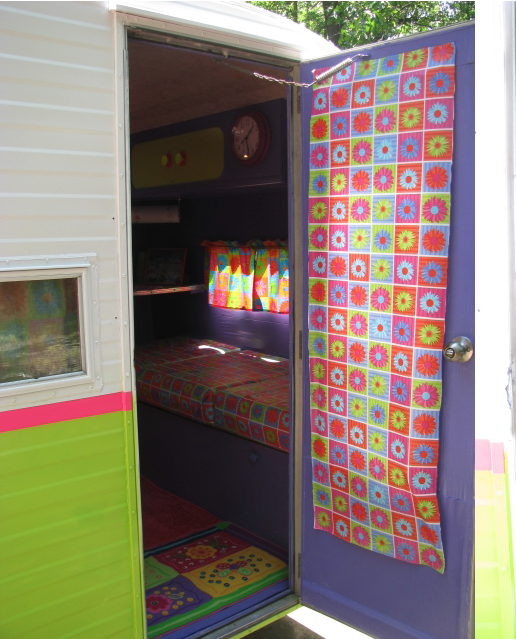 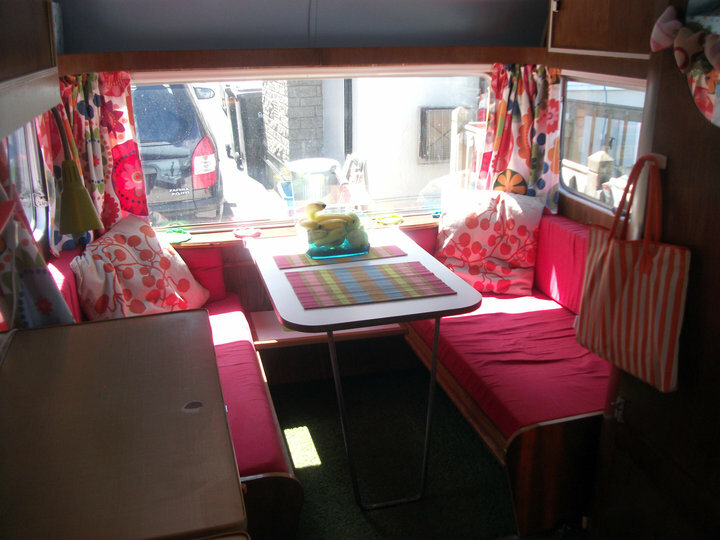 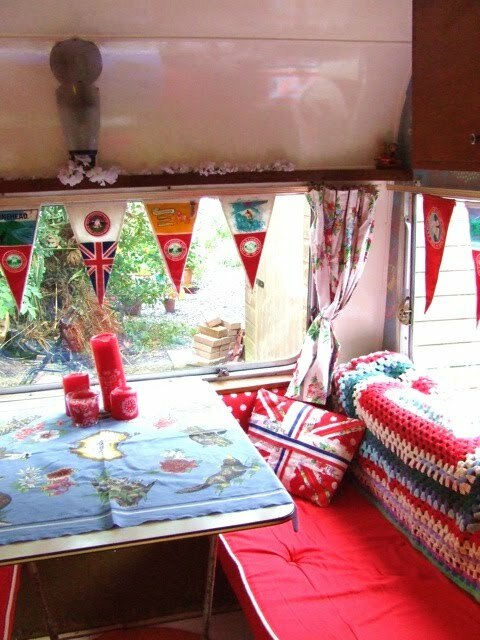 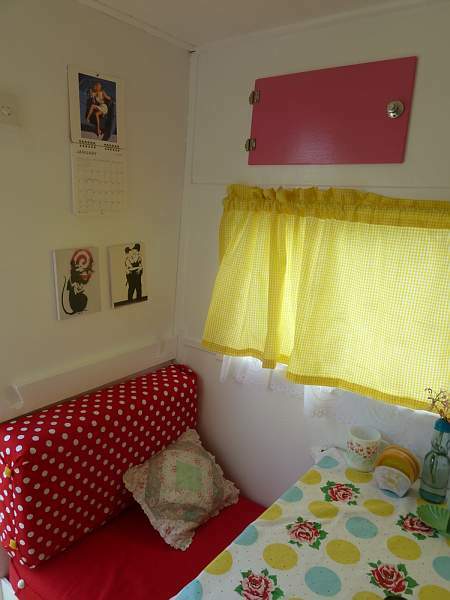 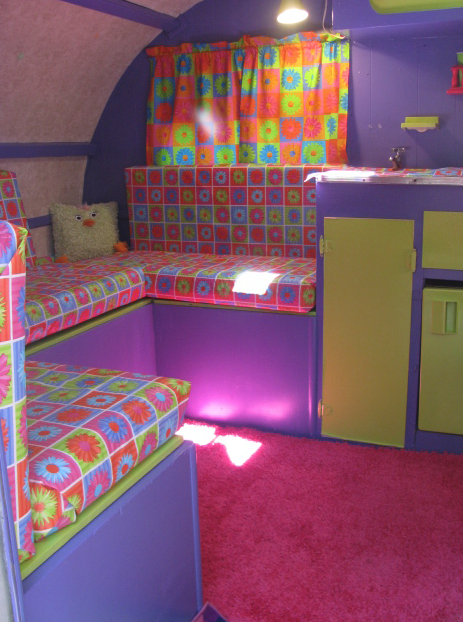 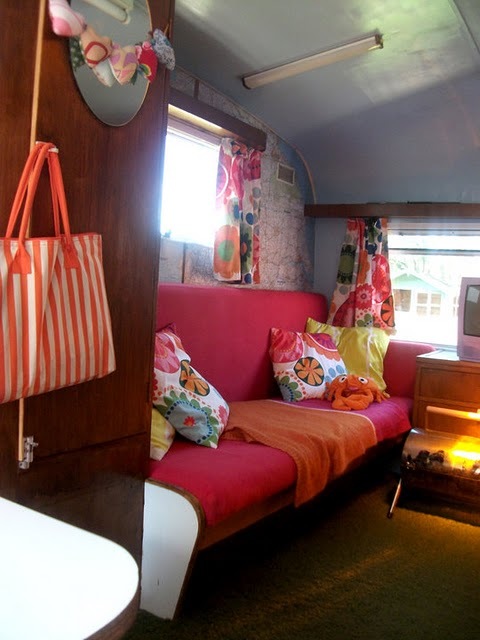 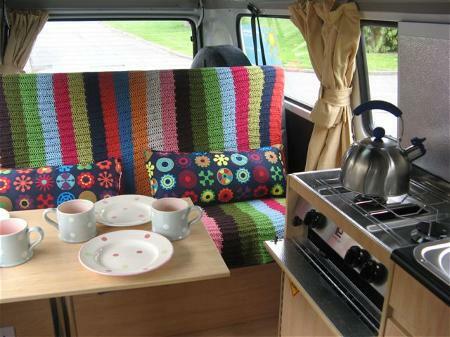 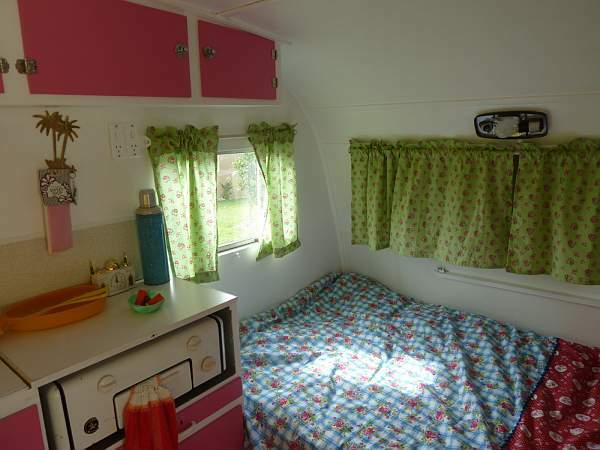 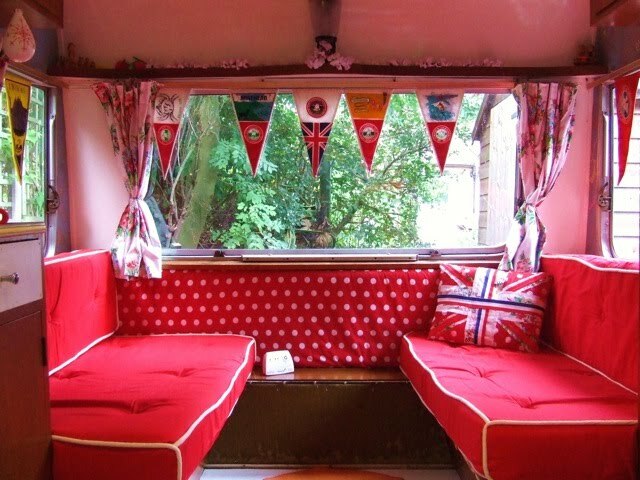 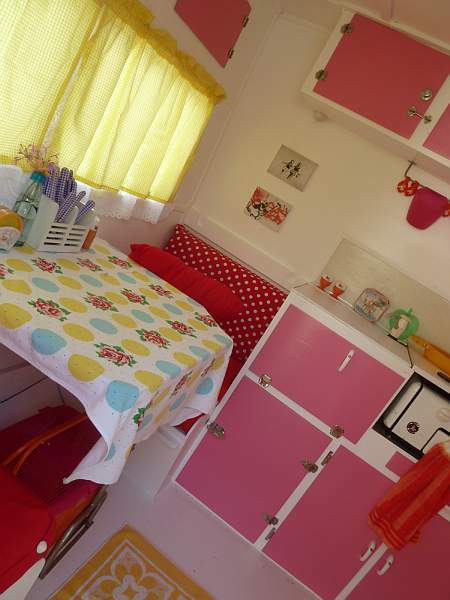 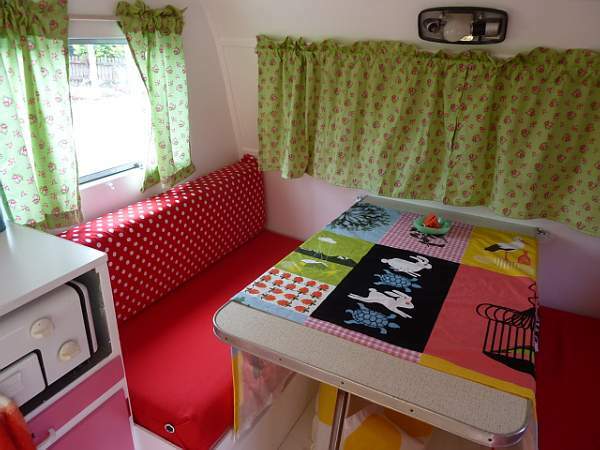 Love the use of maps on the walls and fun IKEA fabric in this bright and cheery camper!